Nobody could have foreseen Case Keenum's dramatic rise from obscurity to stardom. Nobody except for Jon Gruden, that is. While Keenum's journey from an undrafted free agent to leading the Vikings to the NFC Championship Game seems like the stuff of legend, Gruden is apparently a soothsayer, as he eerily predicted a similar scenario five years ago. In 2012, Gruden sat down with Keenum as part of his QB Camp interviews leading up to the draft. Despite Keenum's prolific career at Houston, he was a fringe 7th-round prospect at-best. During his meeting with Keenum, Gruden addressed the likelihood of him going undrafted -- but told the then-24-year-old quarterback his time will come. "Does the draft really matter? At the end of the day, at the end of your career, at the end of time, does it really matter?" Gruden asked. "All it takes is one coach that believes in you. Make a note here, just be ready. Just be ready. Just be ready, because you will get your chance. "You like this stuff don't you? You're going to be alright, Keenum. You just keep competing, you just keep working. Somebody's going to take you. Somebody's not, somebody's going to be sorry." Keenum, of course, wouldn't hear his name called. But five years and three teams later, it looks like Gruden's prediction has come true. He waited for his opportunity. He found a coach who believes in him in Pat Shurmur. He made sure he was ready. 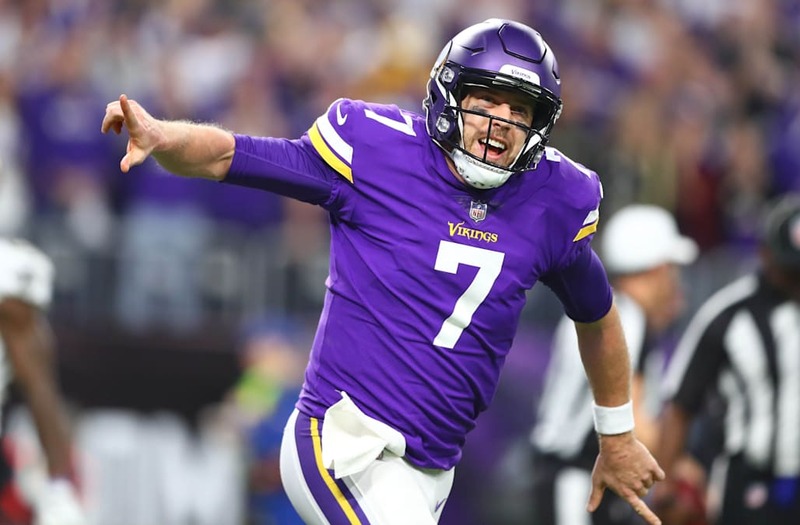 And after opening the season as the Vikings' third-string quarterback, Keenum eventually received his chance and he's made the most of it.